The INS-8023AF-I adapter from Ubiquiti features functionality and reliability. 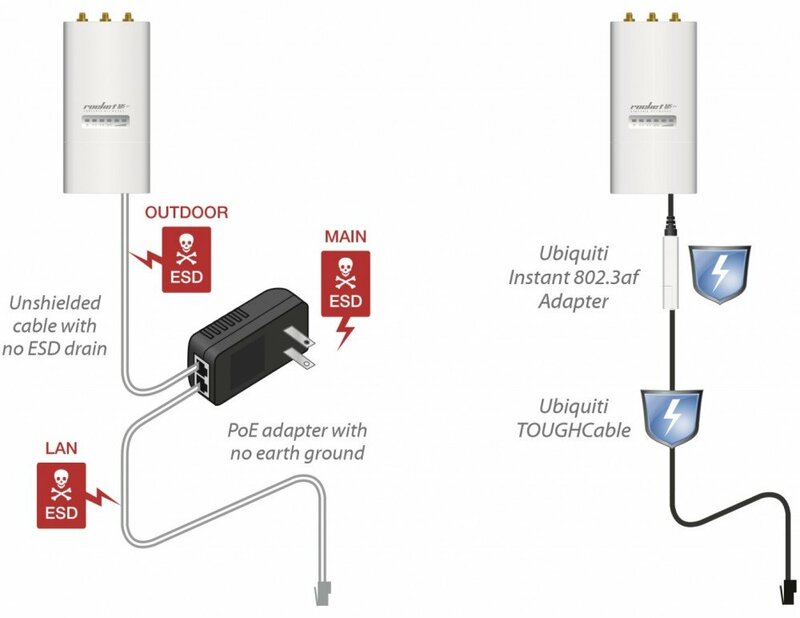 Installed indoors, the Ubiquiti Instant 802.3af adapter supports PoE and changes nearly every Ubiquiti device into a product fully compatible with 802.3af standard. The solution is intended for indoor use. INS-8023AF-I is compatible with a variety of switches and PoE products that use 100 Mbs ports such as airMAX, airVision, UniFi and mFi. Its input power is 48 V with a Sensing Capability option and an output power of 18 V, 0.7 A. It works at temperatures ranging from 0 to even 70 degrees Celsius.